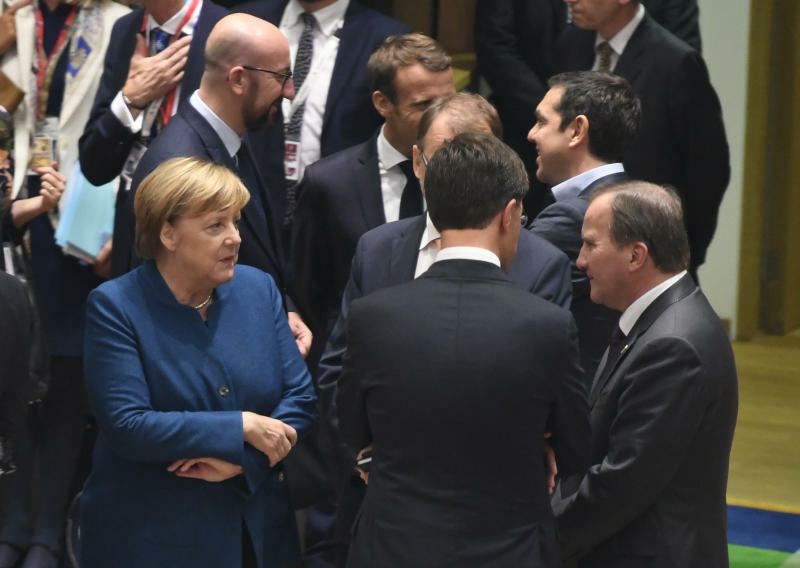 BRUSSELS (AP) — European Union leaders agreed Thursday to pursue the cooperation of countries in North Africa and to beef up the bloc's external borders to stop large numbers of migrants from entering Europe. 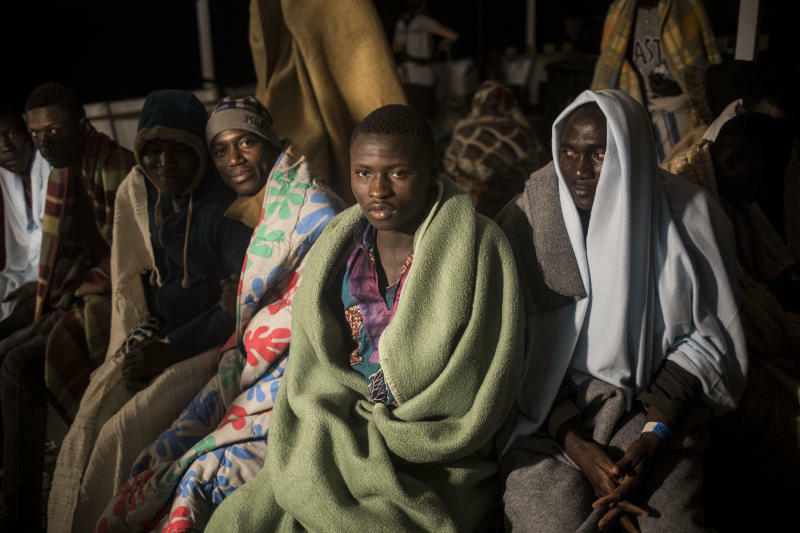 Working with those countries on "investigating, apprehending and prosecuting" smugglers and traffickers that take refugees and economic migrants on dangerous journeys by land and sea should be intensified," the leaders said. "We can't just say that a country with a border on the sea is suddenly the only one responsible" for migrants, Luxembourg Prime Minister Xavier Bettel said. "The problem is European, and the solution should be a European one as well." "We're recommending that instead of mandatory quotas that we go the way of solidarity. This means that each country will provide a contribution where it is possible and where it makes sense," Austrian Chancellor Sebastian Kurz, said. "It's possible, no refugees but more money," Tajani told reporters, adding that it must be substantial funds, "not nothing, not peanuts." But German Chancellor Angela Merkel questioned the idea of "solidarity commitments." "The title sounds good, but if everyone says, 'The commitment to solidarity I am choosing is the solidarity of giving more money for Africa,' then we won't have solved certain problems and the arrival countries will be left alone again," Merkel said. 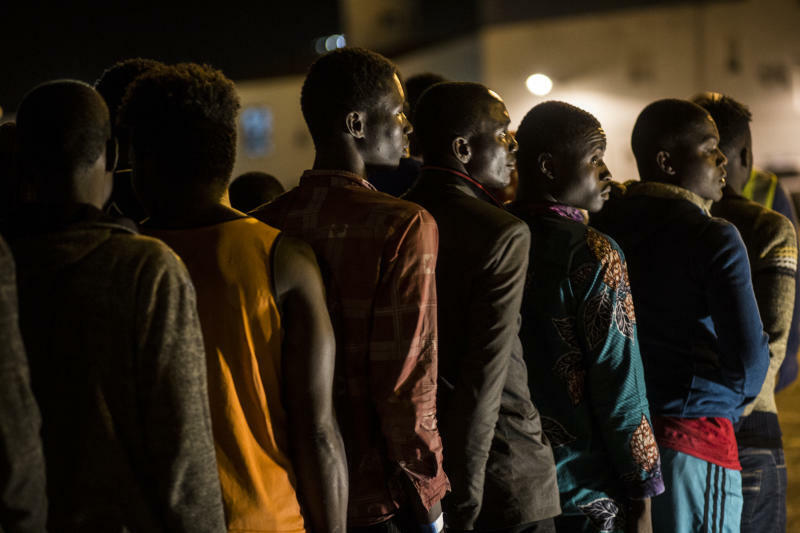 Migration experts and nonprofit organizations have expressed doubt about the effectiveness of any scheme that doesn't involve relocating refugees to more countries. As the EU looks abroad for a solution, Egypt has appeared as a prime candidate for a new partnership. Kurz and European Council President Donald Tusk held talks with Egyptian President Abdel-Fattah el-Sissi, and both praised him for stopping people from leaving Egypt's coast for Europe. In response to criticism that it's neglecting the rights and well-being of migrants, the EU has said that it works closely with the U.N.'s refugee agency and the International Organization for Migration. Both agencies have noted that more people are dying during the sea crossing — more than 1,700 so far this year — and a "dangerously toxic" debate about immigration in some parts of Europe. "The current tenor of the political debate - painting a picture of Europe under siege - is not only unhelpful but completely out of touch with reality," U.N. High Commissioner for Refugees Filippo Grandi said. "Debate is welcome. Scapegoating refugees and migrants for political gain is not."